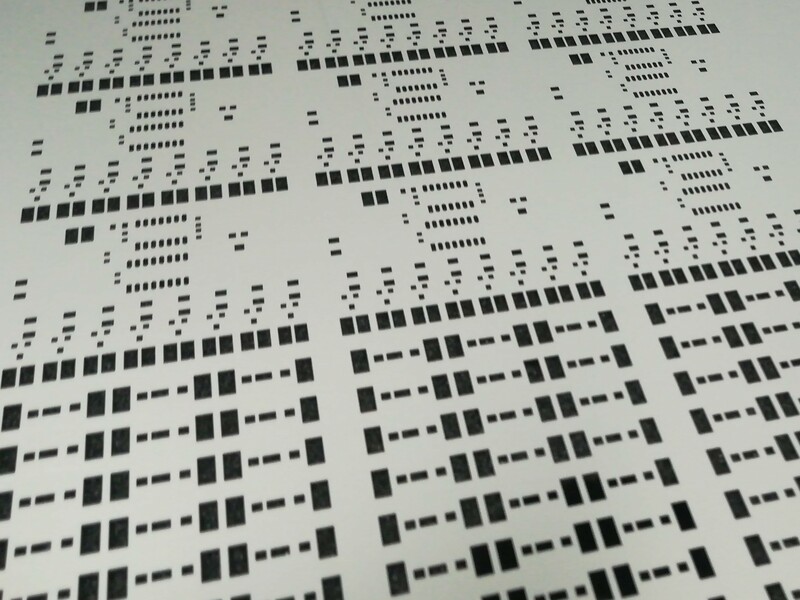 Laser cut SMT stencils guarantee perfect precision. 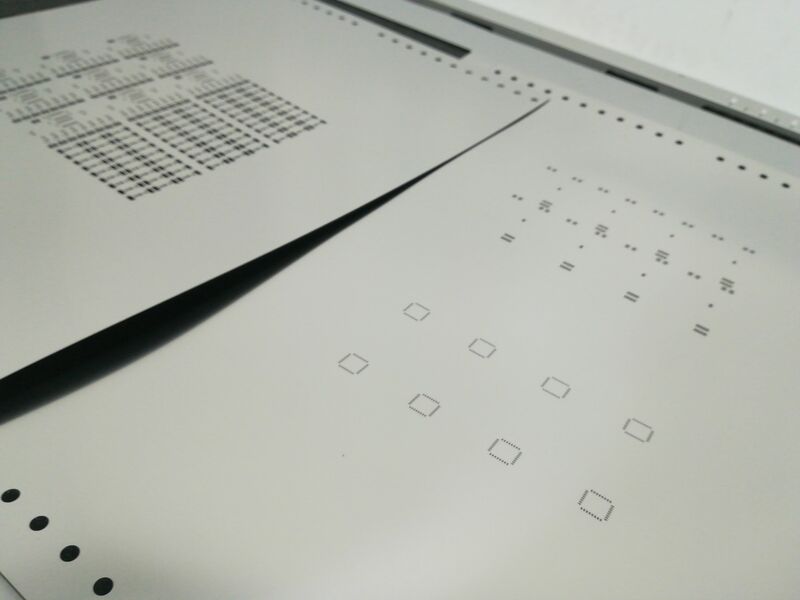 The laser accuracy of the stencil design ensures the highest possible exactness of further SMT production processes. 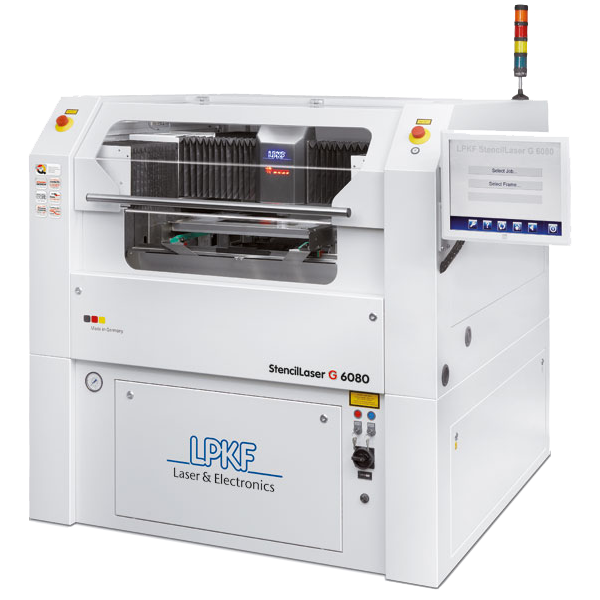 Our LPKF StencilLaser G 6080, besides of its precision is the fastest and the most productive cutting on the stencil market. A large working area of 600 x 800 mm (23.6” x 31.4”) allows to cut two stencils in one production cycle. 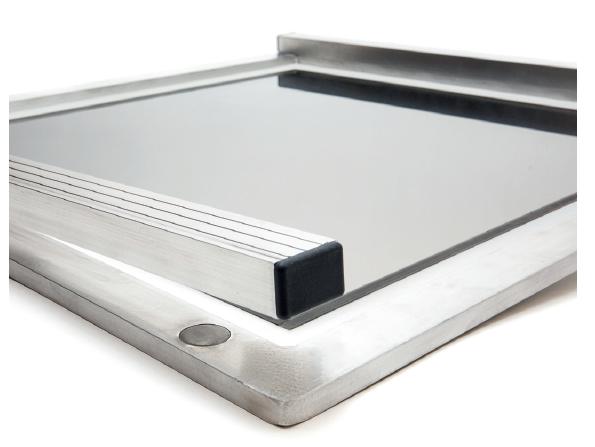 We are the SMT stencils producer, providing stainless SMT solder paste stencils as well as aluminium frames. 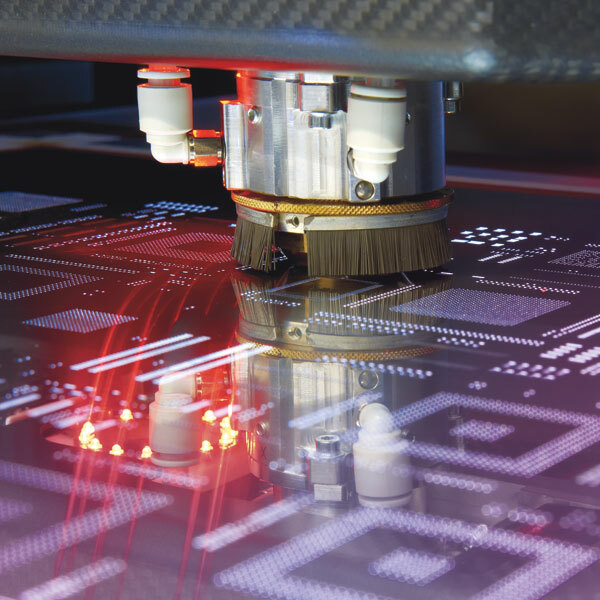 Laser-cut stencils ensure the highest quality of further manufacturing processes. We can guarantee cutting accuracy of ± 2μm and pads with smooth edges. 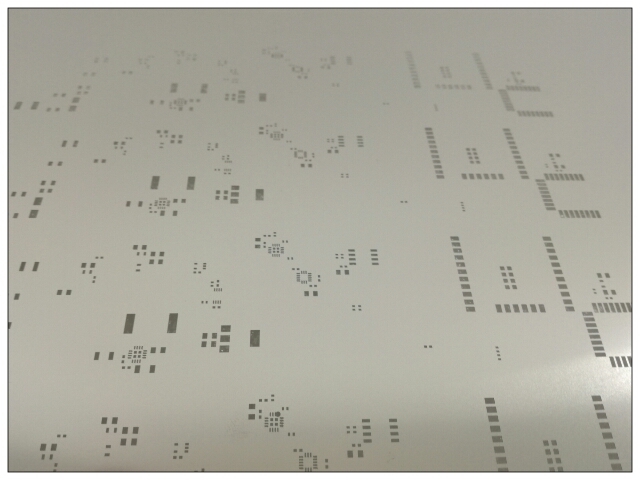 Our company has decided to start producing stencils in response to fast-growing demand for PCB automation. We annually produce hundreds solder paste stencils and we are proud of our quality standards and also of our fast delivery time. 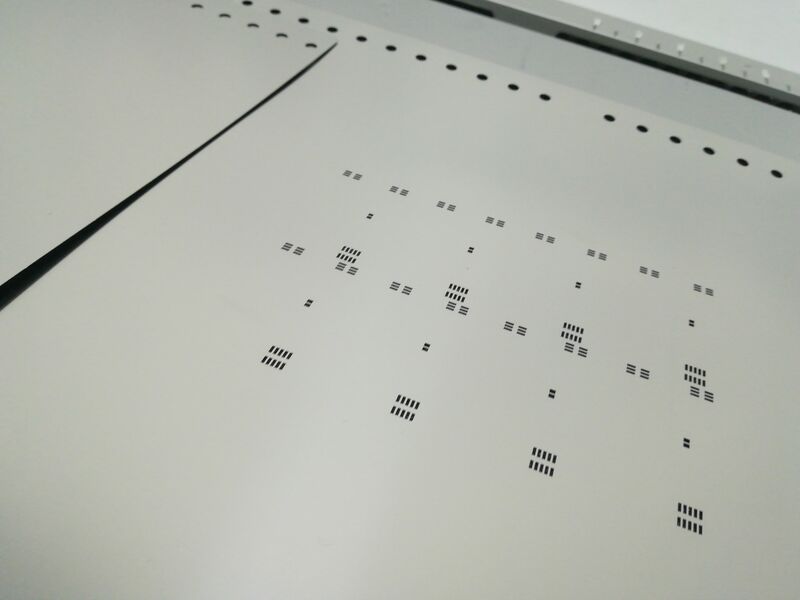 Technosystem Labs offers stencils on plates of diversified thickness (μm) :100, 120, 130 and 150 (also available thicknesses (μm): 80, 180, 200, 250, 500. Moreover we provide stencils with changeable thickness of the sheet. 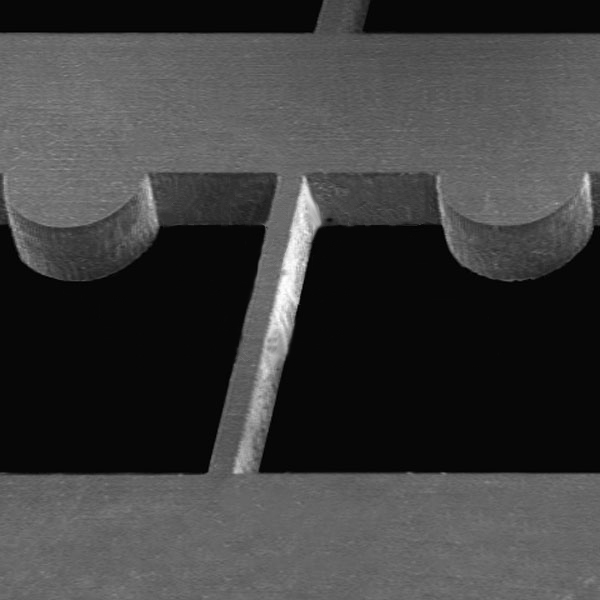 Cutting precision at the level of ± 2μm and pads with smooth edges significantly reduce the number of defects. Our templates are cut on the LPKF StencilLaser G 6080. 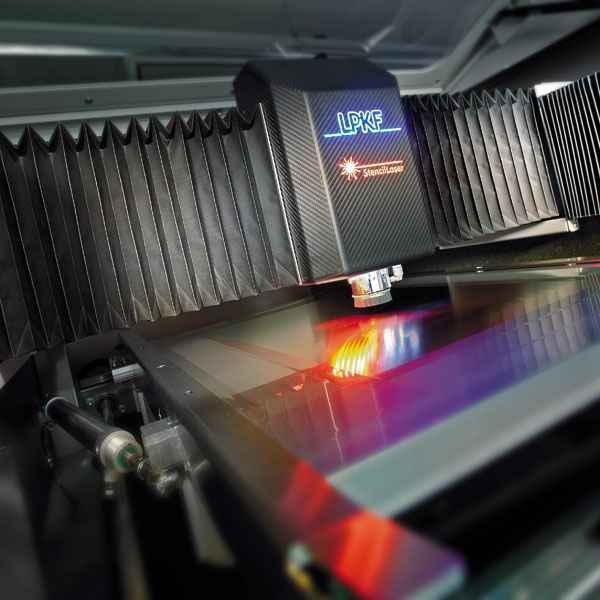 Nowadays it is the most advanced device on the market, having a camera system that positions the laser head according to the thickness of the template. This ensures optimum laser beam concentration. Gerber files template pass through the individual modification process and adjusting the thickness of the film and the size and shape of the aperture and to PCB design technology assumed assembly.Our maximum cutting area is 600mm x 800mm. We are proud that we own laser cutting LPF StencilLaser G 6080. Thanks to it we can offer the highest quality laser cut for solder paste stencils made on Datum Alloys stainless steel. Properties of our hi-tech laser device let us to guarantee the highest possible quality of cutting edges. standard 1-2 days. On request we also realize express delivery.